This sequel to 2014’s The Long Way to a Small, Angry Planet continues the story of Lovelace, the on-board AI from the previous novel. Lovelace has rebooted herself, losing all memories in the process, and has been transferred into the body of an android. Adopting the name Sidra, she must learn to pass as a human while keeping her true nature a secret: AIs are treated with prejudice in the novel’s society, being seen as objects rather than sapient beings. She is guided by a genetically-engineered ex-slave named Pepper and Pepper’s companion Blue. Alternating with this narrative is Pepper’s backstory. This begins with her as a ten-year-old named Jane 23, one of a number of slaves forced to clean and fix hardware while robotic “Mothers” watch over them. She is fortunate enough to escape from the plant and reach the outside world, where she is taken in by a spaceship’s AI named Owl. As Jane grows through adolescence, it is Owl’s duty to introduce her to the wider universe. Like its predecessor, this is a story about family. But where A Small Angry Planet followed a family coming together from members of various sapient species, A Closed and Common Orbit follows two generations of a family that includes humans and AIs: Owl brings up Jane/Pepper, and Jane/Pepper goes on to bring up Sidra. 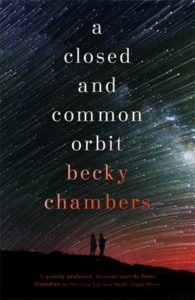 Like many a space opera, A Closed and Common Orbit borrows from other subgenres for its worldbuilding; in particular, it adopts the high-tech-and-low-life settings of cyberpunk. This is a universe where people become addicted to using cybernetic headjacks, wasting away in futuristic opium dens with cables attached to their brains. The dystopian aspects of the novel are most evident in Jane/Pepper’s backstory: advances in technology have not ended slavery, as genetically-engineered slaves are cheaper to create than robots. And so, we have the nightmare scenario of specially-bred slave-children being commanded by faceless mechanical masters. In each case, the novel treats its ugly subject matter with a degree of gentleness and detachment. While the seedy cyberpunk underbelly of the society is always apparent–no coming-of-age story would be complete without the threat of growing up in the wrong direction, after all–Pepper and Sidra make a concerted effort to steer away from it, rendering the dark side of the novel’s milieu more a potential threat than a solid presence. The slave ring, meanwhile, is described through the eyes of a child who does not fully grasp what she is seeing, lending a dreamlike touch to the narrative. Space operas–be they focused on grand adventures or galactic-scale political intrigue–are known for their wide scope. Not so with A Closed and Common Orbit, which is very much a personal story, one that prioritizes individual moments over the larger sweep. A lot of its most engaging ideas, such as the synaesthesia-like way in which Sidra’s mechanical body viewers the world (“when I eat hard candy, I see waves”) or her guilt at having “killed” Lovelace by replacing her during a reboot, tend to be isolated incidents rather than essential steps in the narrative. A Closed and Common Orbit is, for most of its length, character-driven rather than plot-driven. Come its climax, the novel falls back on a very familiar plot device–namely, a rescue mission–in order to bring the dual narratives together. The story is at its most successful when it avoids such visible plot mechanics and is instead content to drift along behind its characters, watching them as they steadily develop. What it lacks in narrative complexity or sophisticated worldbuilding, the novel makes up for with a warm-hearted humanity. The twenty-fifth century has seen its share of worldwide social upheaval. Organized religion has long since been abolished, having been on the losing side of the Church War. Now, each individual is expected to develop their own spiritual path, with a social class known as Sensayers existing to help them along their way. Geographic nation-states, meanwhile, are obsolete. In their place are entities known as Hives, of which there are seven: Mitsubishi, Humanist, Masonic, Cousin, European, Gordian, and Utopian, with an eighth named Greenpeace having existed prior to merging with Mitsubishi. Their names hint that anything from a philosophy to a corporation stands a chance of someday becoming a Hive. The shared capital of the hives is Romanova, a city build on the model of ancient Rome. The future world depicted by Ada Palmer echoes the eighteenth century, particularly the Enlightenment. In this future Voltaire is revered as humanity’s key thinker. The retro-futurism can obviously be compared to steampunk, but while that genre fetishizes the technological imaginings of a bygone century, Too Like the Lightning fetishizes the philosophy of a still earlier age. Is Aristotle not still known by the honourable title of the Philosopher? Shakespeare the Bard? Brill the Cognitivist? How then can you forget the Patriarch? Perhaps you protest, Thou accuses me unjustly, Mycroft. History has not swallowed this great man, rather he has swallowed history. I do not know who created the first government, or built the first wheel—it is so ubiquitous that I do not need to. Just so, my better era does not reach me who first fought for these good heresies you list, for they are now Truths, and the blind age that doubted them is now forgotten. Perhaps you are right, reader, it is honor, not dishonor, if you forget the Patriarch. Canner himself is a convicted criminal, one of the most notorious alive, and is serving the sentence given to all criminals of his era: lifelong community service. During the course of the novel he becomes wrongly suspected of stealing a valuable document. This sets him on a journey to find the true culprit, a journey that puts him into conflict with some of the highest echelons of this futuristic society. It is hard to overstate just what a large part formalistic experimentation plays in the novel. To pick one example, there is a scene in which a group of characters converse in a specific dialect of Latin. Acting as narrator, Canner announces that he will translate this into a more familiar Latin dialect, but not into English, necessitating a second narrator character (the editor of Canner’s text) to step in and clear things up. Ada Palmer clearly likes to set puzzles for her readers: between the densely-packed historical references and the eccentric choice of narrator, disentangling the story’s worldbuilding will require close attention, but is nonetheless rewarding. 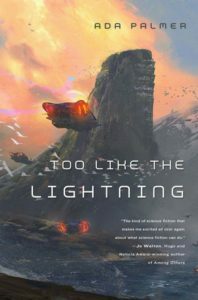 Like Ann Leckie’s Imperial Radch series, Too Like the Lightning takes place in a world of non-binary gender. 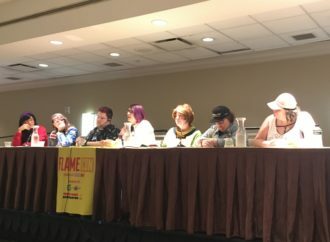 Characters refer to each other using the neutral pronoun “they,” although Canner does discuss whether a person should be identified as male or female based on how they happen to be presenting themselves at that moment. The reason for this is very different to that of Leckie’s universe, however. The novel’s society is so puritanical in regards to sexuality that it regards any distinction between genders as obscene. All of this serves a purpose, as the idea of truth existing behind multiple layers of artifice is a recurring theme throughout the book. Much of Too Like the Lightning is based on conflict between different forms of faith: The Utopians believe in technological progress; Mitsubishi’s faith is in business; the Humanists believe in individual perfection; the Masons believe in religion, which they perpetuate in secret. Crucially, while faith takes different forms, it is always present; each Hive is consciously striving for something. Too Like the Lightning is set in a world which purports to have achieved utopia, or at least, to be on its way to this goal, with nihilism having no place in society. But in fact, the world of the seven Hives has its share of corruption and vice. Mycroft Canner himself turns out to be a prime example, when we learn that he committed a series of horrendous murders in the past. And like real-life serial killers, such as Jack the Ripper and Charles Manson, he went on to become the center of a morbid personality cult. Yet, even Canner has a saving grace. His hope for redemption is embodied in the character of Bridger, a thirteen-year-old boy with an uncanny ability, a rare element of supernatural fantasy in the novel. As long as an object is sufficiently representational, Bridger can turn it into whatever it depicts. Toy soldiers will spring to life, complete with memories of their past conflicts. An image of a medicine bottle will become a genuine bottle of medicine, even if it is a medicine hitherto unknown by the pharmaceutical world. In a box, he keeps a selection of objects that he must never bring to life: icons depicting deities and devils; a comic panel showing a doomsday device; a model representing the Big Bang. Canner befriends the innocent Bridger, and the touching relationship between hardened ex-criminal and innocent, trusting and forgiving boy becomes the story’s emotional drive. The world of Too Like the Lightning may be post-religious, yet it has birthed a new god: a boy who can not only create life, but can apparently redeem sinners as well. Too Like the Lightning is the first in a series and ends rather abruptly, teasing us with forthcoming revelations about the nature of Canner’s reformation. Despite this incompleteness, the novel has more than enough to sustain many re-readings to come. N. K. Jemisin takes us on a return trip to the world of The Fifth Season, a world that is hit by catastrophes on such a routine basis that it is simultaneously post-apocalyptic, pre-apocalyptic, and mid-apocalyptic. 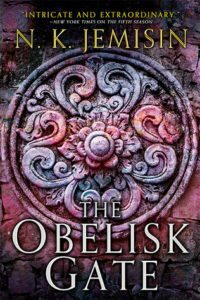 Like its predecessor, The Obelisk Gate has a narrative that regularly switches between different characters. This time Essun (protagonist of The Fifth Season) and her estranged daughter Nassun. As is often the case with middle volumes in trilogies, The Obelisk Gate works on a smaller scale than the first book. 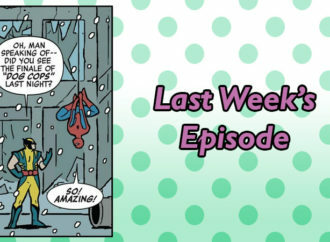 The Fifth Season bore the series’ worldbuilding burden, leaving its follow-up comparatively light-footed. The conflict between the orogenes–a minority group with the power to manipulate earth–and the oppressive forces of the Fulcrum slows down, allowing the novel to focus on the smaller, more human aspects of the overarching narrative. Nassun sees the waver of him. It is also instinct that she steps forward and takes his hand. He flinches, perhaps thinking of knocking her away again, but this time she holds on. “Daddy,” she says again, this time putting more of a needy whine into her voice. It is the thing that has swayed him, these times when he has come near to turning on her: remembering that she is his little girl. Reminding him that he has been up to today, a good father. It is a manipulation. […] And it works. Jija blinks rapidly, then murmurs something unintelligible to himself. His hand tightens on hers. “Let’s go back up the road,” he says. Such moments are simple, but strong. They bring a genuine psychological plausibility to the fantasy narrative: a human element in the wasteland of dust, rock, and machinery that Jemisin has created for her apocalyptic saga. Once again, the story tackles prejudice. Jija attempts to take his daughter Nassun to a place that will supposedly rob her of her orogene abilities, a “cure” that suggests gay conversion camps. And once again, Jemisin avoids the pitfalls of reducing her fantasy concepts to either a one-note allegory or to simplistic wish-fulfilment. 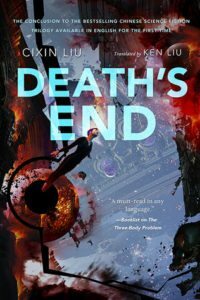 Death’s End concludes the trilogy that began with the 2015 Hugo winner The Three-Body Problem. The previous novel in the series introduced the “dark forest” theory: that the universe is a forest and that civilized planets are either predators or prey. Should the location of one civilization become known elsewhere in the universe, it will be destroyed by another. Earth has been noticed by an inhabited planet known as Trisolaris. But thanks to Luo Ji, the protagonist of the second novel, it has found a way to evade an attack from these aliens. Should Trisolaris make a move against Earth, then Earth will broadcast the location of Trisolaris, thereby guaranteeing the destruction of the alien planet. As a result, the two planets become locked in a sort of latter-day cold war, albeit one that does not preclude exchange between the two civilizations: Earth has received technology and even artistic creations from the Trisolarans. But then the peace is shattered. Earth’s broadcast stations, the ones prepared to reveal the location of Trisolaris if necessary, are destroyed in an attack from space. Cheng Xin, the “swordholder” tasked with activating the stations, failed to do so when the time called for it. Earth is not finished just yet, however. The loss of its defenses is the beginning of a long lurch towards an uncertain future. When the Trisolarans attack, will they destroy the world altogether or settle for mere subjugation? Will Earth somehow be able to find a hiding place in the dark forest? What other alien civilizations besides Trisolaris pose a threat to Earth’s existence, and what sort of terrible weapons do they have access too? Thanks to the existence of hibernation devices, Cheng Xin is able to skip vast periods of time into the future, and so witnesses the slow fate of Earth play out before her. In the midst of all this, she is reunited with a figure from her past. 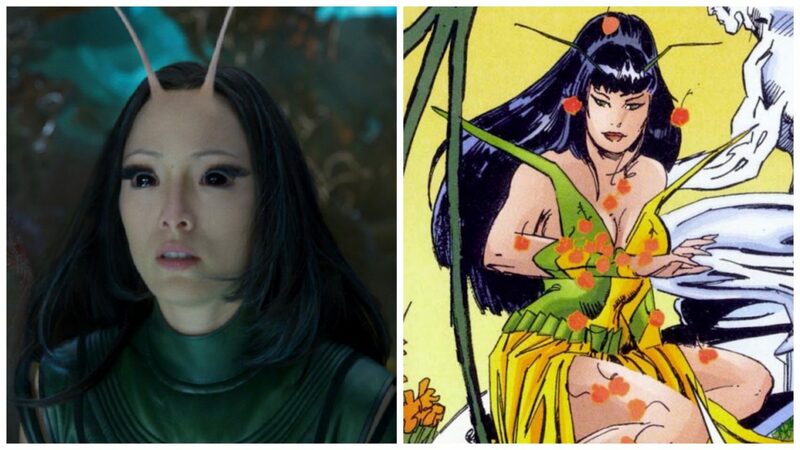 Before failing in her duties as a swordholder, she had a terminally ill lover named Tianming and took part in a plan to send his preserved brain into space to act as a spy on the Trisolarans. Now, it turns out that the Trisolarans had him cloned. He returns with a very strange tool for Earth to use in its impending conflict: a set of fairy tales, in which a potential lifeline is illustrated in symbolic terms. Like its predecessors, Death’s End is densely packed with ideas. Pick two or three chapters at random, and you will find at least one concept that could sustain a separate short story, perhaps an entire novel. Every turn of events is discussed at length by the characters, and no idea is introduced without an analysis of its potential impact. Most of these scenarios arise from the collapse of humanity on an interplanetary scale. At one point the crew of a spacecraft are faced with a food shortage so dire that they vote to attack a nearby vessel and cannibalize its occupants. At another the Trisolarans heard Earth’s population into Australia, a process watched over by a beautiful but ruthless humanoid robot. It has to be said that this sky’s-the-limit exploration of the future does come at the cost of individual characterization. Cixin Liu is working in a tradition that goes back to Olaf Stapledon, where leaps into the future grow larger and larger until human lifespans start to seem like those of insects; inevitably, the result risks coming across less as a novel, more as a history book. Liu takes steps to avoid this by using the time-hopping Cheng Xin as a reader-identification point. It has to be said that she does not come across particularly strongly as a character. Aside from her regular lapses into anguish over her failure as swordholder or her relationship with Tianming, she tends to act as impassive observer. But paradoxically, her very intangibility as a character becomes the thematic center of the novel. Death’s End is a story about the conflict between the individual and the infinite. How much influence can one person have on the fate of the Earth or on the solar system? The question lingers throughout the novel. Cheng Xin spends much of the narrative struggling to come up with the answer, often falling back on guidance from other characters, which leaves room for the reader to look at her story and come up with an answer of their own. Cheris tried to imagine this and failed. How could you form a regime this way? Wouldn’t it destroy the reliability of the calendar and all of its associated technology? The Hexarch is currently fighting against a rogue seventh faction, the Liozh, which has democratic leanings. Heretical, the Liozh also reject the calendar system of the ruling regime, and therein lies their strength. In the universe of Ninefox Gambit, by reshaping the calendar, one can reshape reality. 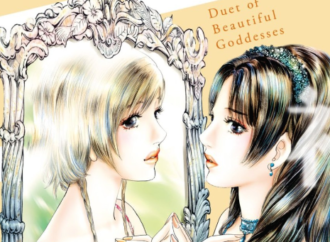 But even as this war over the calendar freely warps and bends the nature of reality, the story remains tightly focused on its narrative core: the relationship between the two protagonists Cheris and Jedao. Jedao was, nearly four centuries before, a general in the service of the Kel. He was renowned for his military capability, until one fateful mission when he ended up killing over a million people on both sides, including his own staff, whom he shot at gunpoint. Clearly insane, but still potentially useful, Jedao was apprehended by the authorities and imprisoned as an immortal but bodiless entity. He is eventually taken out of retirement and teamed up with Cheris, a Kel Captain, for a mission on a fortress held by the heretics. While Cheris is more level-headed, the unhinged Jedao is the more experienced. As his spirit shares her head, he becomes a complex variation on the old cartoon image of the angel and devil on the shoulders: the ghostly Jedao slips between voice of wisdom, shady manipulator, and complete loose cannon. Ninefox Gambit is not a novel that meets its reader half-way. Pick it up, and you will be thrown right into a chaotic universe where reality is altered on a regular basis. The experience is initially bewildering, but a reader who sticks around to unpick the intricacies of the story should find it rewarding. 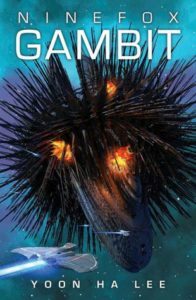 The physics of its science fiction universe, the structure of its imaginary society, and the psychology of its main characters all mesh together to make Ninefox Gambit a sophisticated space opera. 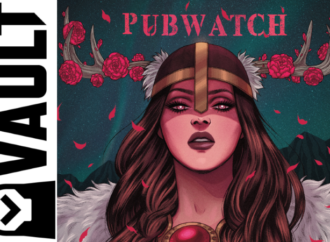 Patricia is a girl who, one day, finds out that she is a witch. This means that she has the ability to talk to animals; she has a particular affinity for birds and is even allowed to visit the Parliament of Birds. But soon after that, her powers subside. Laurence is a boy with a keen interest in technology. He builds himself a time machine, albeit one capable only of transporting him two seconds into the future. It’s useful for dodging projectile thrown at him by classmates, but not much else. He skips school one day so that he can see a rocket launch; at the site, one of the scientists gives him a copy of Robert A Heinlein’s Have Spacesuit—Will Travel. He gets in trouble with his parents, but he keeps hold of his dreams. Years later, when they are adolescents, Patricia and Laurence run into each other and the two misfits become friends. Patricia is regaining her suppressed powers, while Laurence continues his sci-fi-inspired technological tinkering. They are two kids in a world of imagination, where a boy can create artificial intelligence in his bedroom, a girl can trigger an out-of-body experience by eating particularly spicy food, and a schoolteacher is secretly an assassin with a fondness for ice-cream. And then they grow up. But All the Birds in the Sky is not “Puff, the Magic Dragon,” where painted wings and giant rings make way for other toys. Patricia and Laurence remain in a gestalt world of sci-fi, with Hogwarts around one corner and the Singularity beyond the other. However, such matters begin to reflect the anxieties of adulthood. Most significantly, they reflect a mood of impending doom. Viruses develop resistance to antibiotics. A fracking operation threatens to unleash a trapped mother-load of methane gas. Spirits of endangered animals become Miyazakian blob-monsters. Sundry apocalyptic scenarios from nuclear Armageddon to ecological collapse threaten all life on Earth. Scientists and magicians alike devise last resorts, each of which would save humanity, but at a terrible cost. And Patricia and Laurence are caught up right in the middle of it all, looking over the strains that their relationship has undergone since they were kids. For its early stretches, All the Birds in the Sky is a pure delight. Like Diana Wynne Jones, Charlie Jane Anders has a knack for capturing childhood fantasy while also portraying child characters who feel real: they are not mere stereotypes or ciphers, and each carries a set of convincing idiosyncrasies and oddities. Inevitably, the result sometimes looks like a selection of tasty ingredients being thrown into a blender, with recognizable fragments occasionally becoming visible before sinking back into the goo. 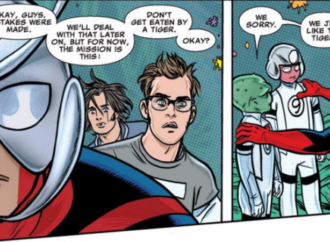 The character motivations remain consistent and are really the only driving force in a story where the world building is based largely on whimsy. 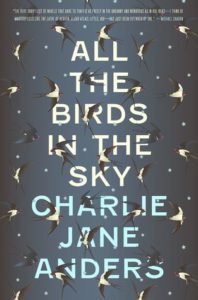 All the Birds in the Sky is, on its most obvious level, a celebration of how fantasy fiction informs the way we see the world and our personal relationships. Anders does not get this idea across in an entirely convincing manner, but even so, her belief in her message shines through. While the middle is somewhat heavy-going, the wide-eyed charm of the beginning and the genuinely touching aspects of the end make it all worthwhile. I found these to be a strong half-dozen novels. Each is worthy of a spot on the ballot, although I did enjoy some more than others. Forced to choose one in particular, I would go with Too Like the Lightning. 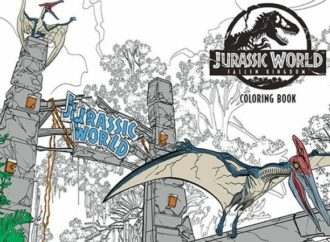 It has its flaws, mainly due to being an incomplete story, but is so utterly brimming with ideas that I can forgive all that. And so, everything is wrapped up for another year. Now, just to wait and see who the winners are come Friday 11 August.